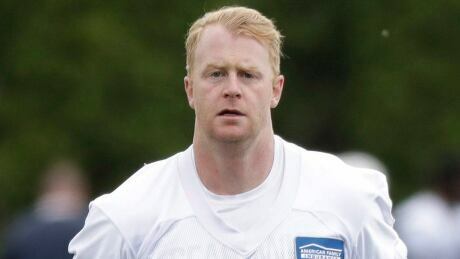 Canadian punter Jon Ryan is leaving the Seattle Seahawks. The Regina native posted on his Twitter account that he is leaving the NFL team following 10 seasons in Seattle. Ryan, who broke the news on Twitter, did not give a reason why he was leaving the team, and the Seahawks had yet to confirm the move. But the 36-year-old former Winnipeg Blue Bombers standout reportedly asked for his release to explore opportunities with other NFL teams. Seattle selected punter Michael Dickson in the fifth round of this year's draft, and the rookie has performed well in the pre-season. Another telling sign of Ryan's imminent departure was Dickson taking over the role as holder for Sebastian Janikowski on field-goal attempts, given he had little prior experience. Ryan told the Seattle Times he wondered if his days with the team were numbered early in training camp. "I just had a feeling," he said. "Been around this game a long time and sometimes you just start getting those feelings." Over 12 seasons with Green Bay and Seattle, Ryan has booted 914 punts for 40,895 yards. His longest punt of 77 yards came in the 2011 season. Ryan helped the Seahawks win the 2004 Super Bowl and was said to be popular in the Seattle area. Ryan made NFL history when he threw a touchdown pass on a fake punt in the NFC championship game of the 2014 season. He became the first punter to throw a touchdown pass in an NFL playoff game, and the first Canadian to do so since Washington quarterback Mark Rypien in 1993.